It's dangerous to reduce an entire country to just one shipping point, especially when many different areas could all open up under a single plan. While the future of relations between Mexico and the U.S. is uncertain, the southernmost of these nations has developed an initiative to invest in national ports for better trade. The efforts to put $5 billion into these areas depend on some other outside factors, such as the country's relationship with NAFTA, according to Ship Technology. However, though it still has international concerns to consider, Mexico is still reportedly committed to improving trade for Latin and North America in general with a multi-prong plan. Just as Mexico is working on its strategic shipping expansions, businesses wishing to operate there can focus on strategic sourcing as well. Port of Lazaro Cardenas: This April saw the APM Terminals station in this port finally open, with a 30 percent higher container turnaround time capacity than originally predicted, as Container Management reported. The site is both an important geographical position for shipping and a place where operators plan to try out new technology for better efficiency. Port of Veracruz: The Journal of Commerce said that this port is one of the several that have borne the majority of expansion efforts in the country in a plan stretching back years. The Veracruz port could also play a role as a destination for ships heading between any of the other major trading centers. Three open corridors: On a similar note, the region could also be a source of new channels encouraging trade. The same Ship Technology article also said that Mexico will work on a trio of economic corridors in the north, center and south. Of these, the center channel seems to be the most immediately significant, since it accounts for more than half of Mexico's national GDP, Mexican Ports and Merchant Marine General Coordinator Guillermo Ruiz de Teresa told the source. 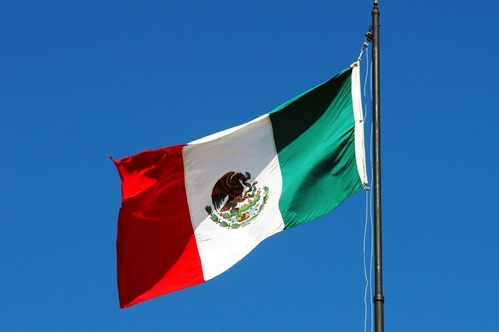 These and other projects are meant to propel Mexico forward as a strong figure in trade, while also possibly opening up further ways for both the country and the region to connect with the rest of the world. "Mexico would work on a trio of economic corridors in the north, center and south." The ongoing impacts of NAFTA and other trade conditions may have repercussions for the U.S. economy as well, as it adapts to fit new policies. Dairy Economist Scott Brown of the University of Missouri recently spoke to the Associated Press about the relationship between the dairy industry in the U.S. and NAFTA's influence. "Can we renegotiate and get a better NAFTA deal?" Brown asked. "Only time will tell. Those trade agreements traditionally have taken a lot of time and effort to get everybody on the same page and we know we've benefited tremendously on the NAFTA agreement that we have." Making procurement decisions with accurate data and benchmarking may be necessary going forward, regardless of trade policy changes, simply to match increasing complexity.